The sauce is so good. It’s basically blended up vegetables and coconut milk. 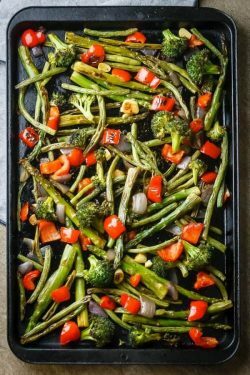 This recipe puts it over cauliflower but I love it over noodles, broccoli, etc. and I don’t feel guilty because it has lots of veggies and no dairy. 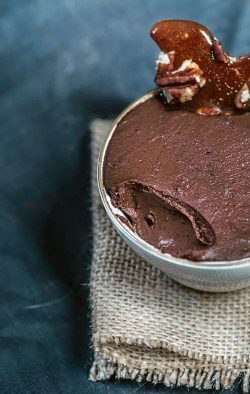 Make this avocado chocolate pudding with only 5 ingredients – dark chocolate, coconut milk, avocado, honey and cocoa. 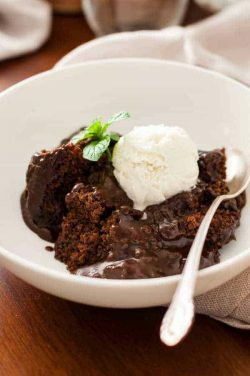 Plus, it doesn’t take long to melt the chocolate and blend everything together then chill it and you end up with a rich, velvety Paleo chocolate pudding full of antioxidants. 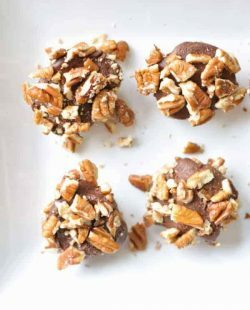 These Paleo no-bake cookies are super simple to whip up with only three wholesome ingredients and are perfect to make in small batches and hide in the back of the fridge for late night cravings. 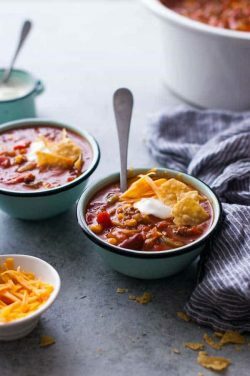 This gluten-free taco soup recipe is so easy and so good. Throw ground beef and some cans of beans, tomatoes, veggies, etc. and seasoning packets in a pot. 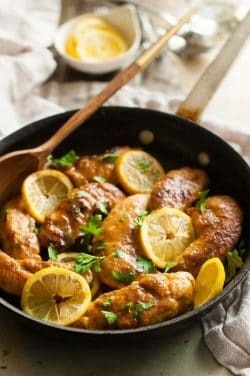 Let it simmer for a few minutes and I have a healthy meal the whole family loves! 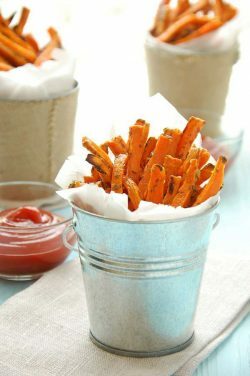 I love how I can make this simple, homemade BBQ sauce in a few minutes. Then I just dump it on the chicken and do whatever I want while dinner cooks. 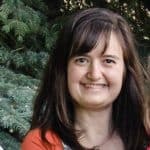 Bonus – my children love it! This coconut milk ice cream is dairy-free and so creamy. 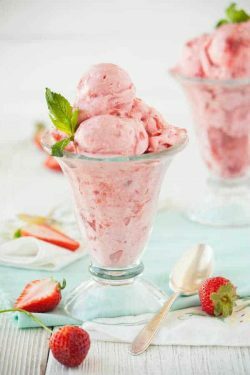 The strawberries and bananas make a sweet, flavorful ice cream and the rhubarb swirl gives the ice cream a sweet and tangy kick. 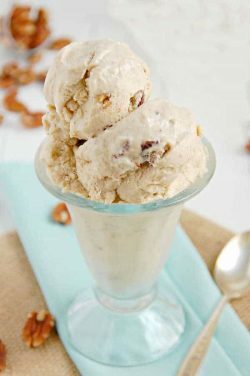 This ice cream is made without any added sugar and it only has four ingredients so that means it’s pretty easy to make. I adore ice cream but my waistline sure doesn’t like it. But I can eat all I want of this because there is no sugar in it. If you’ve never tried brown butter before, you really should try it on this recipe. It gives it a deep nutty flavor; you could almost say it tastes caramelized. This Wendy’s copycat Paleo Frosty recipe is quick, easy and tastes just like the real thing without all the questionable ingredients. 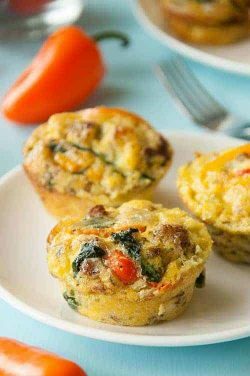 These Clean Eating pizza muffins are perfect for making ahead for a delicious lunch or snack. 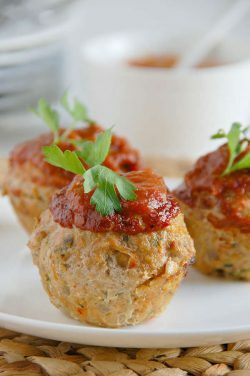 I think my children would starve if it wasn’t for these! 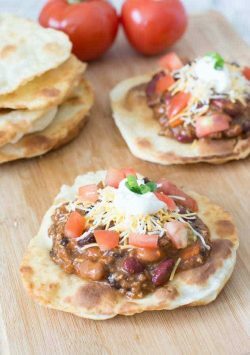 This easy healthy Navajo tacos Recipe tells you everything you need to know about how to make healthy Navajo tacos. 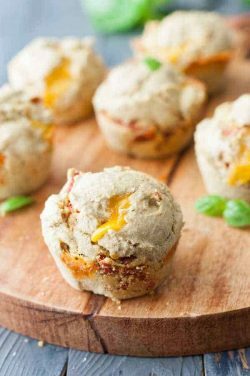 They are way easier to make than you think. This Clean Eating cake is fun to make because it makes it’s own sauce. It’s so good to eat hot from your slow cooker, especially with some Clean vanilla ice cream melting over the top. This is a healthy butternut squash mac and cheese recipe. This is a meal in and of itself because it has all the food groups in it. This isn’t your typical boxed mac n’ cheese – or even homemade version. 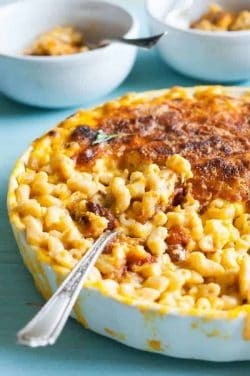 This mac and cheese sneaks in butternut squash puree. That’s why it is a good healthy mac and cheese recipe.